At the top of Constitution Hill – the road that separates Green Park and Buckingham Palace Gardens – lies Hyde Park Corner. The Corner, despite its name, has more of a physical connection with Constitution Hill than the Park as it is cut-off from the Park proper by traffic, the disconnection is completed by the moat-like Duke of Wellington Place that surrounds it. Luckily the A4 highway runs underneath it. While it has become a home to memorials, its original monument, the Wellington Arch, was built by George IV in 1830 as a gateway to the Palace Gardens celebrating the Duke of Wellington’s Napoleonic victories. Historically, Constitution Hill terminated at the Arch, in 1883 however it was moved – almost to the centre of the Corner – because of traffic congestion. In 1912 Wellington’s statue was replaced on top of the Arch with the current bronze; the Angel of Peace overcoming the Chariot of War. Not for new found modesty in victory it seems, but apparently the massive 20 ton statue of Wellington and his horse was just a bit too much. 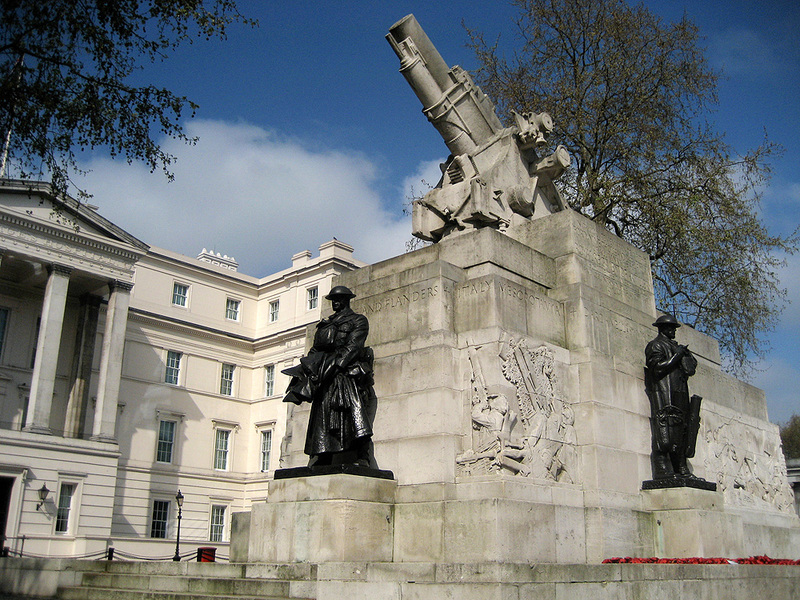 1925 saw the first memorial sited in the Park; the Royal Artillery Memorial. Also in 1925 a memorial for the Machine Gun Corps was erected, it too fell victim to the demands of traffic, needing to be moved soon after installation. It was not until 1963 that it was sited in its current spot. 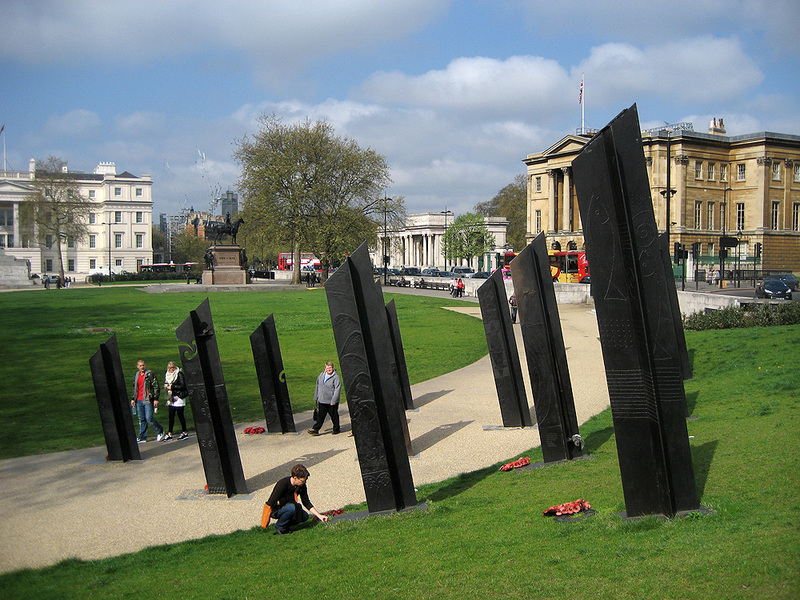 In 2002 the unveiling of the Constitution Hill Memorial Gates provided a transition to the memorials of Hyde Park Corner. 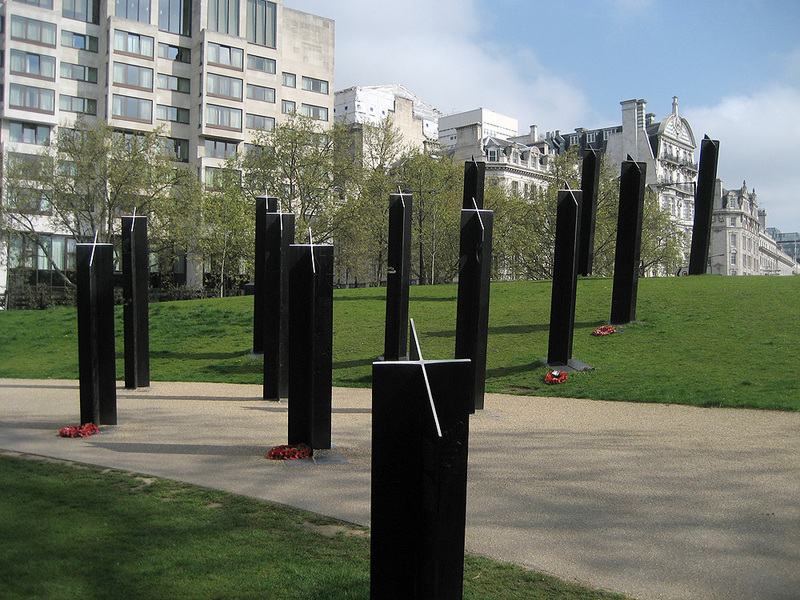 The Gates are flanked by four solid pillars – or Gate Posts – in recognition of the 5 million who saw service during both World Wars from India, Pakistan, Bangladesh, Sri Lanka, Africa, the Caribbean and Nepal. The 2003 Australian War Memorial is an extended wall of numerous granite slabs, running along the southern bend of the Corner. It’s enormity reflects the 100,000 plus Australians killed in both World Wars. 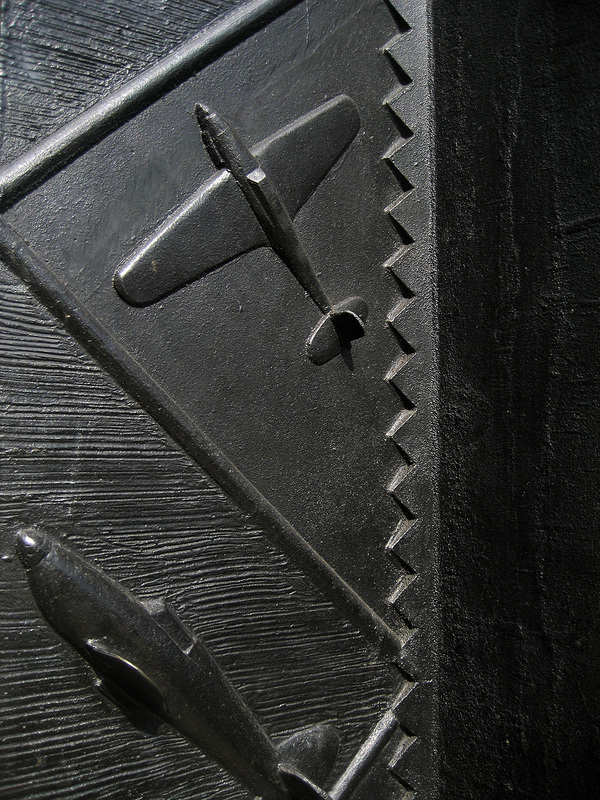 And while it can only be viewed completely at a distance, standing close to the wall ensures attention is focused on the particular inscriptions. The combination of water flowing down a wall that curves toward you has unfortunately prompted some to dub it the ‘urinal’ – on a more positive note (not sure if it has been designed this way) from above the memorial is shaped like a boomerang. 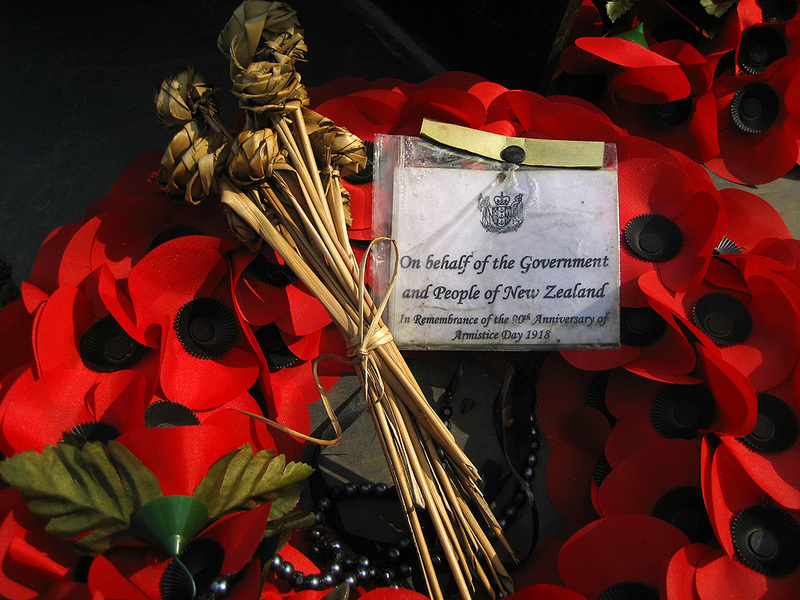 The New Zealand Memorial was unveiled on Armistice Day 2011 with significant ceremony. 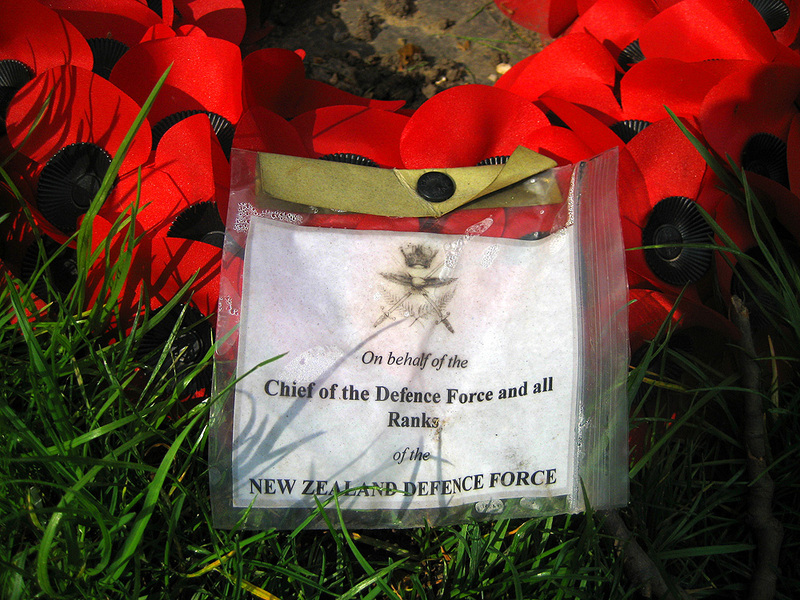 Helen Clark, Tony Blair, Queen Elizabeth (and an “exceptional turnout” from the Royal family), 60 NZ and UK veterans along with 250 New Zealand Defence Forces personnel that included a 140-man Guard and Colour Party, were joined by nearly 2000 spectators. The Guard of Honour after leaving Wellington Barracks were joined by the veterans at Buckingham Palace for the march up Constitution Hill. Flanked by the NZDF Maori Culture Group the procession entered Hyde Park Corner with the tri-service band playing Maori Battalion, followed by kairanga and haka. 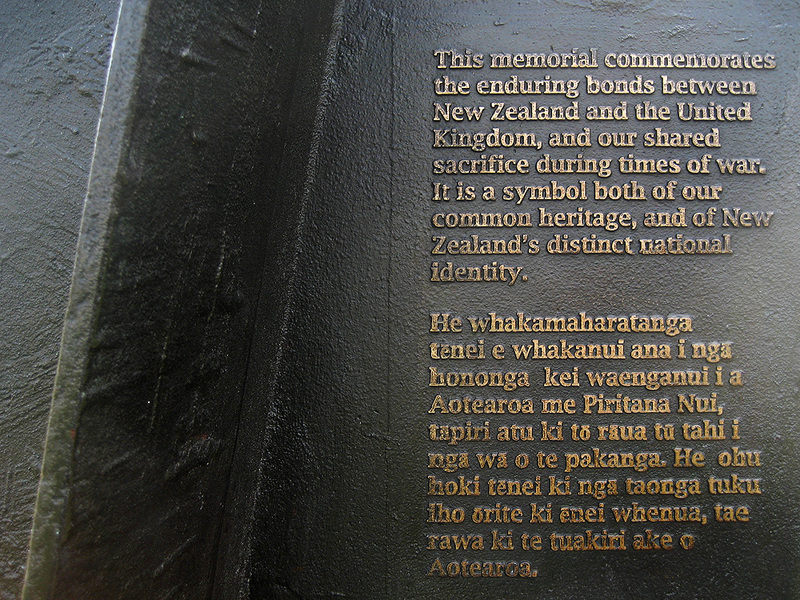 Designed by architect John Hardwick-Smith and built by sculpture Paul Dibble, it consists of 16 bronze standards, each in the shape of a cross and adorned with text and images evocative of the “military, historical, social, cultural and economic ties” between New Zealand and Britain. 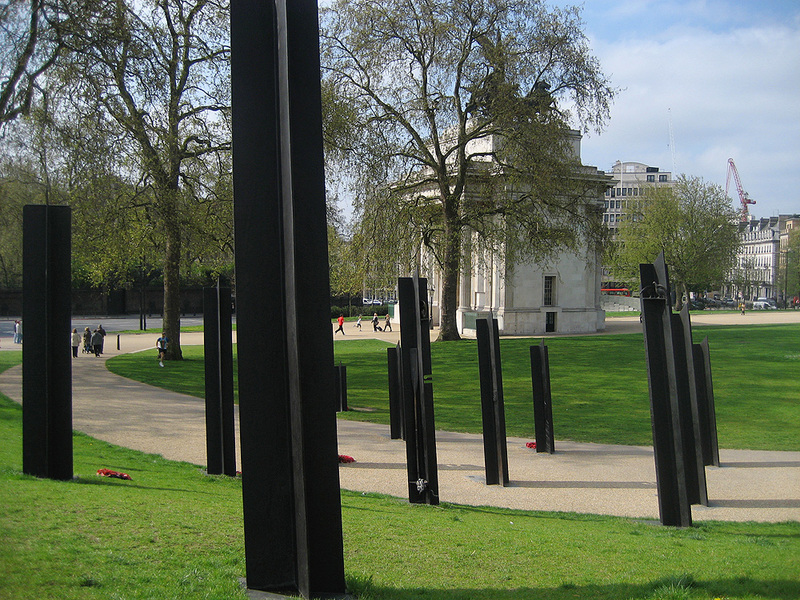 Ten of the Memorial’s standards form an angled grid with a ‘leader’, which contains the dedication text and is the site for laying wreaths. Each standard is formed from two intersecting plates of bronze and, when seen from above and afar, the sculptures appear like a series of crosses hanging in the air… the other six standards are positioned to form the shape of the Southern Cross. 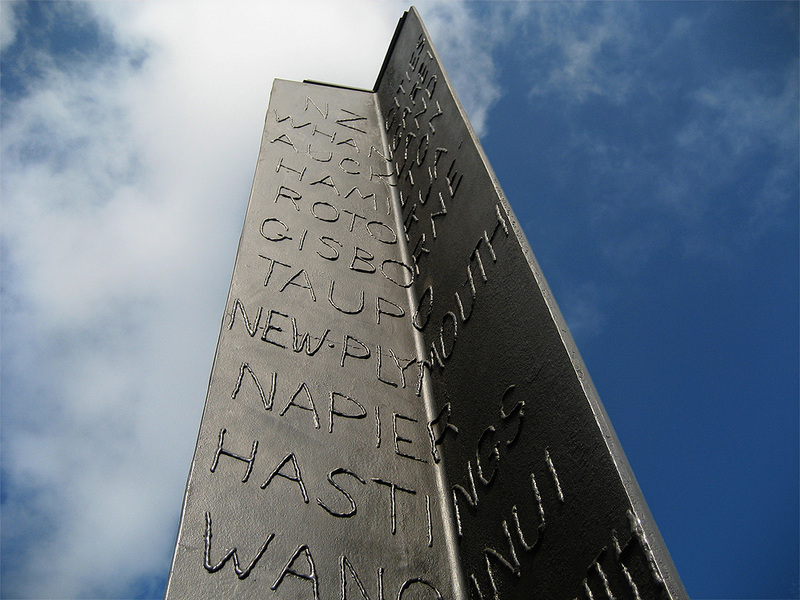 At night their tops will be illuminated so that the crosses look like the southern cross indicating the compass direction south – pointing the way home for wandering Kiwis. 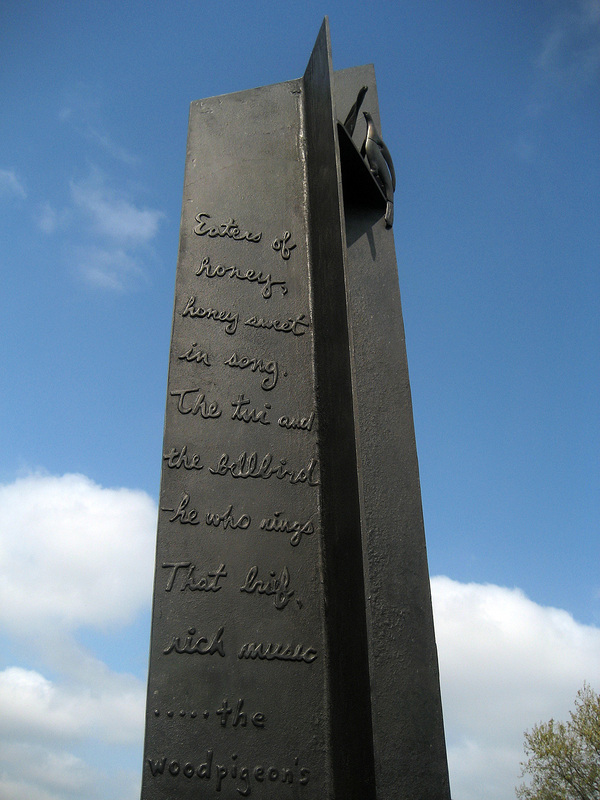 I really do love this memorial; to see it from a distance, close-up, touching it, or to walking amongst it. I love the wreaths that remain after Remembrance and Anzac, the way it crosses the walking path that encircles Hyde Park Corner. Most of all I love its elegant powerful presence. Being 12 hours or so ahead of London, about the time I post this, the Anzac day dawn ceremony in Hyde Park Corner will be just about drawing to a close. 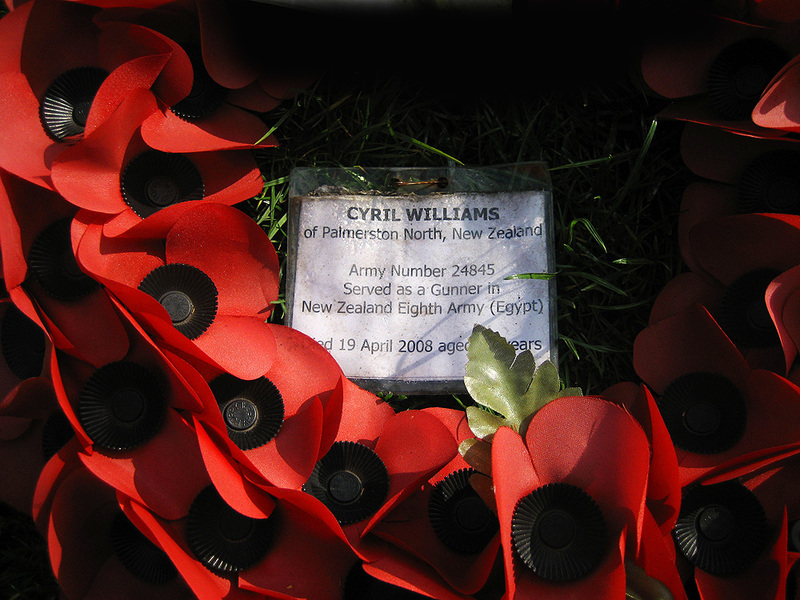 This entry was posted in ANZAC and tagged Anzac Day, Armistice Day, Hyde Park Corner, New Zealand Military, Rememberance Day, War Memorial. Bookmark the permalink.